In my particular case, I would quite likely be using something like a GoatLink so I can use an 11-40t or 11-42t cassette on a home-built recumbent tadpole trike (so, single rear wheel). I'd like to use it with a triple crankset. Are there any reasons for me NOT to just add the derailleur hanger in about the location it would be with the GoatLink installed? How far behind and below the axle center should the derailleur hanger threaded hole generally be? Either in a general case, or for large range cassettes in particular. What are the downsides of it being too far down or too far back? I would have to guess that as total distance from hanger to axle increases, that shifts to/from the higher gears (smaller tooth counts) would be "less crisp". Maybe ground clearance as it moves too far down? Maybe not enough chain around the circumference of the cogs as it moves too far back? Note on the rear of the Goatlink, there is a lump which should sit on the original rotation stop. Not the answer you're looking for? 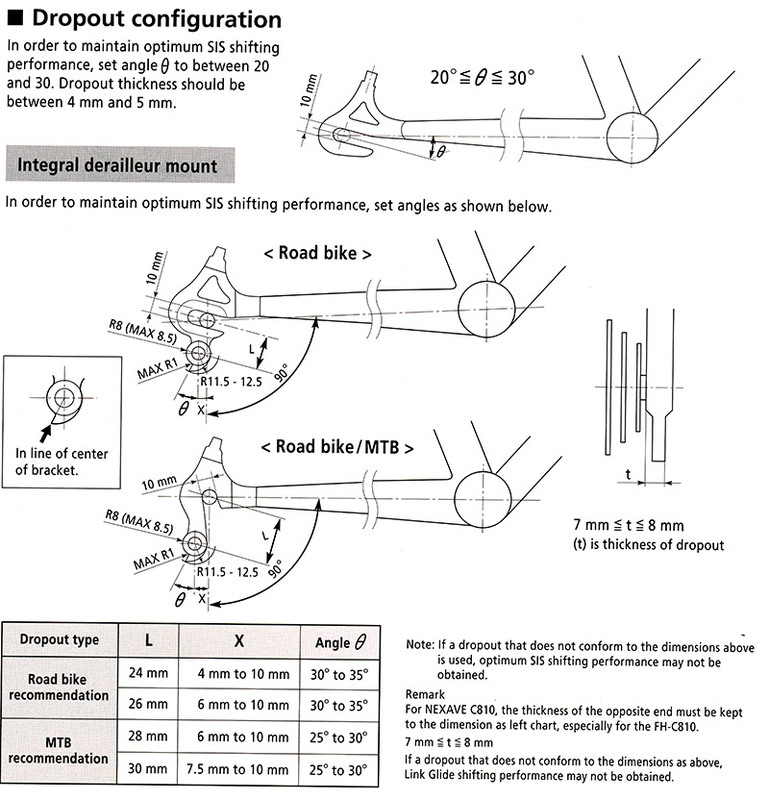 Browse other questions tagged derailleur derailleur-rear recumbent hanger or ask your own question. 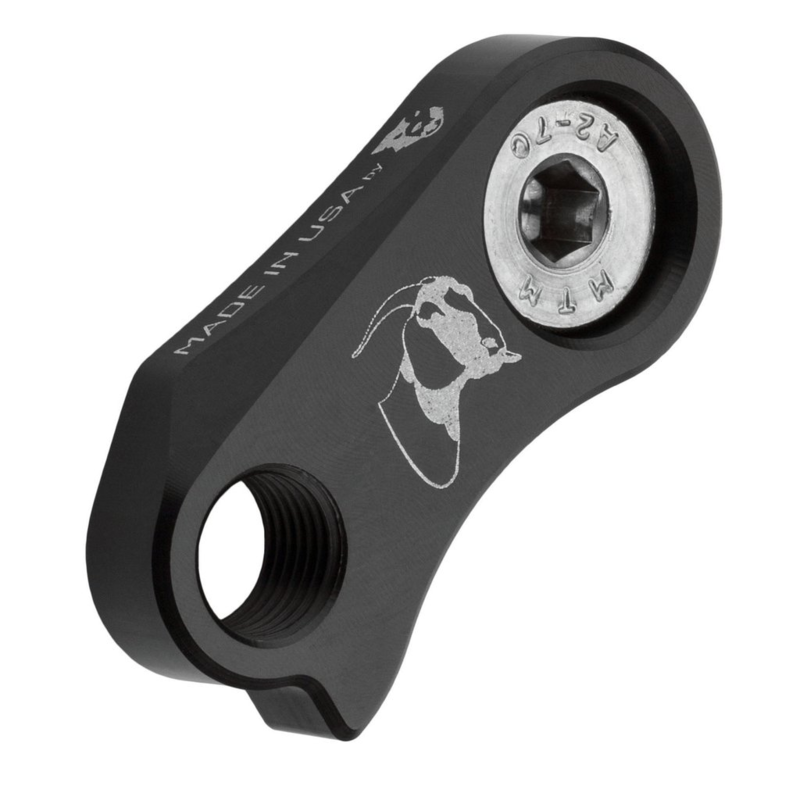 Can a universal derailleur hanger be a suitable long term solution?